Online registration will stay open until Friday, February 22nd at 12:00 pm EST. Walk-up registration is available on the day of the race, however, the registration fee will increase to $45. When and where is early packet pickup? There are two packet pickup options for you to pick up your race packet. You can pick up your race number and race t-shirt at either of the below early packet pickup locations or on race day. Walk-up registration is available on the day of the race, however, the registration fee will increase to $45. My registration login from last year isn’t working. What should I do? We are using a new system this year in order to streamline registration for you. You will need to register as a guest or create a new login. If you place in an Overall Division (Top 3 Overall or Masters), you will be removed from eligibility to win a medal in your Age Division. Barring uncontrollable or extenuating circumstances, our awards ceremony will begin at 9:30am. **All awards will be given based on gun time. Chip time is only for your personal enjoyment and record keeping. By registering for our events, you agree to the use of your name and photograph in broadcasts, newspapers, brochures, and other media without compensation. Also, we often provide a download of photos and videos taken at our events. These photos are the property of Atlanta Mission and may not be used for non-personal use without our express written consent. Will there be any course alterations? 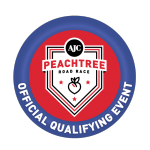 Atlanta Mission may alter a published course at any time and for any reason, including, but not limited to, road conditions, runner safety, and local municipality requirements. Any alterations made to the course may negate the USATF certification. While we love pets, we ask that you refrain from inviting them onto our race courses. Due to the large number of runners, we also ask that any spectating dogs or pets be kept on 5 foot non-retractable leashes. If it rains or snows, will the race be cancelled? In the event of extreme weather conditions, Atlanta Mission reserves the right to cancel the race or run it as an untimed fun run without advance notice and as advised by the Police and Fire/EMS Departments. If this should be necessary: prizes will be converted to random prizes. No entry fee refunds will be made. The final decision regarding the fate of the race will be made between 30 minutes to an hour prior to the scheduled start of the race and will be announced over the race public address system. Could the race be delayed for any reason? Atlanta Mission, in conjunction with the local municipality, reserves the right to delay an event start for any reason, including weather. Typically we will delay up to 30 minutes prior to start if there is lightning. It is unlikely that we will delay for heat, rain, or snow. In an effort to ensure the best experience for all participants, we ask that runners comply with standard race etiquette. This includes, lining up at the starting line according to expected race pace, giving right of way to faster runners along the course, and following guidelines given by race officials and volunteers (race crew members). Is my race registration fee tax-deductible? Atlanta Mission is a non-profit 501-c3. Your entry fees cover the expenses of the event and you receive tangible/non-tangible goods in exchange for your registration fee, which include a safe and quality event, certified course, timing, scoring, post-race food, and entertainment. Typically, only donations above the registration fees that are made directly to the charity are eligible for tax deductions; however, you should confer with your tax professional if you have further questions.